Yesterday I attended the Safe Schools & Fair Employment Rally here in Boise, Idaho. I didn't realize that sexual orientation wasn't protected under discrimination laws in Idaho. Someone that is an otherwise upstanding employee could be fired from their job just for being gay, and have no legal recourse. 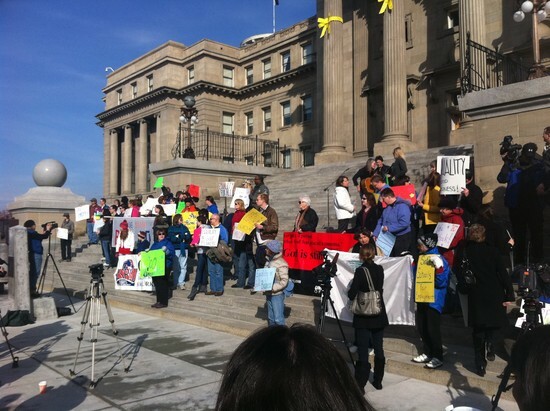 The rally was to get this changed by Idaho legislation. I didn't take my main camera, but I got a couple pictures with my iPhone 4... The best camera is the one you have with you. 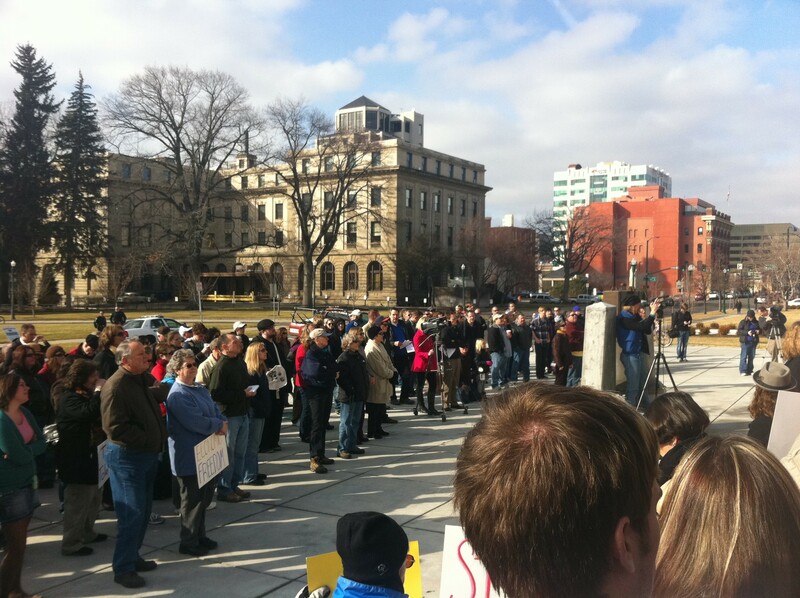 Here's half the crowd on the steps of the Idaho State Capitol Building. I really am glad that I live in US sometimes, I have 1st Amendment rights and I just had to join the people on the steps. Made me feel more like an American somehow. Here's the other half of the crowd. I think it would be redundant to say I hope the bill passes. It is outrageous that someone can be fired for doing nothing wrong. Here in the UK there are cases of gay couples sueing Christian hotel owners who refused to allow them to share a bed. One couple won their case, another is in progress.